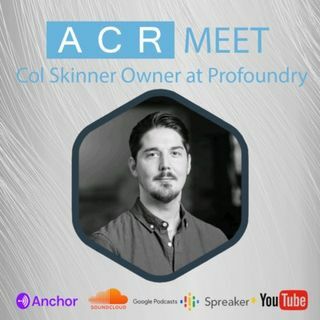 This week we chat to Profoundry owner Col Skinner. In 2014 Col quit his agency manager job after 6 years of being agency and client side. He then started his own consultant business focusing on training, audits and delivery of campaigns then quickly moved into a focus in paid media ad setup and management. Now he has 3 support staff and has been running his own business for 5 years. I also started GRAFT.shop last September as a side passion project. Col is passionate about self employment and ... See More freelancing.